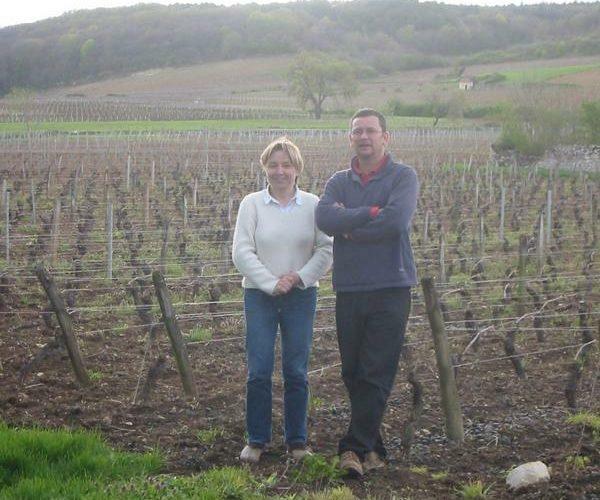 Xavier Besson holds 7 hectares of vines in the appellation of Givry, having inherited the estate in 1989 from his parents. Most of the vines are in the immediate area around the domaine (or chateau, really) with 'Les Grands Prétans' vineyard basically their backyard. The domaine is still quite small at 7 hectares and all the work is done by hand always with an aim for low yields and big, ripe fruit. The vineyards are grown in clay soil, with a deep bedrock of limestone from vines that are 30 years old (average). The fermentation is all done with indigenous yeasts after a brief 3-5 day cold maceration. Aging takes place for 12 months in a combination of large 500L and traditional 228L barriques – 50% new.